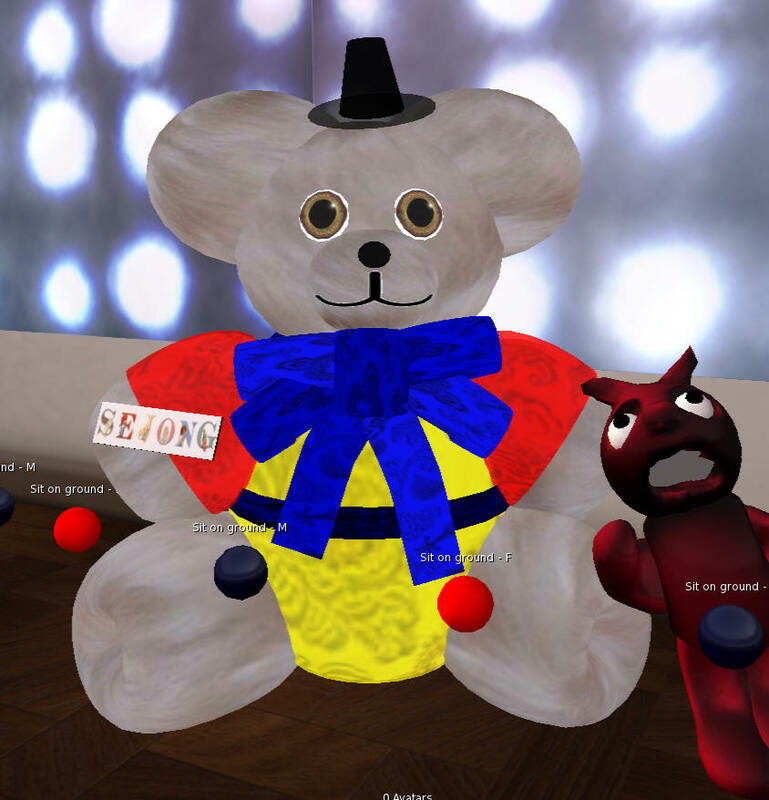 Linden bears are a tradition in Second Life. 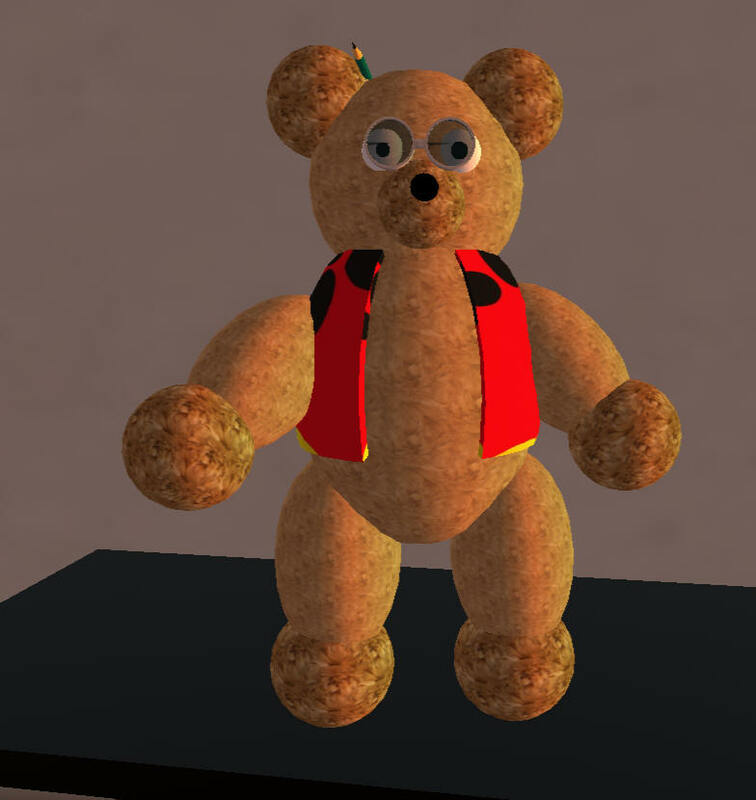 Each Linden employee makes a bear unique to themselves. Some Lindens give them out for good deeds. Some give them out to anyone for just asking. Some give them to anyone they kiss on Valentines' day. Collecting Linden Bears is HARD work, and not easy. It can take insider knowlege, luck, and persistence. 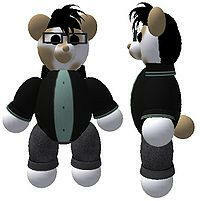 But some of the Lindens have graciously made it easy to start on your quest for Linden bear, by giving theirs away! There is a nice photo of lots of Linden bears at the wiki. How hard can it be? I managed to get M Linden's bear (Mark Kingdom, a former CEO) by being a Premium member and getting a new Linden Home the moment they opened. I didn't need the home, nor do I need premium, but I support Second Life, and maybe one day I will need the support they give to Premium holders. So I gathered some friends and we made a bright spot of people on the map. 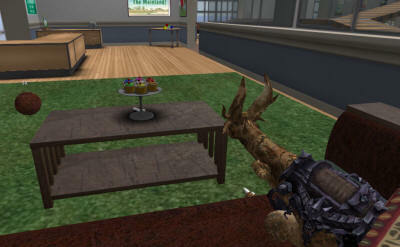 And magically, M appeared with a network maintenance Linden, and I got his bear. 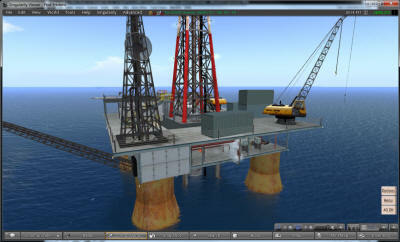 I also got to chastise the Network Linden for not having made one yet! Here are a few of the bears the WavingGirlsAV Voom and I have gathered over the last 8 years. These are in the bedroom in the Castle Blue. An undocumented bear - Nichol Lindens 'prototype' bear - is available to anyone! This is the bear that started it all. The prototype bear is available at the Concierge HQ at this display. You will need to right click and select "More" and then take a copy of the small white bear at the bottom right of this photo. I found this by researching each and every bear in this display, hoping to get lucky. 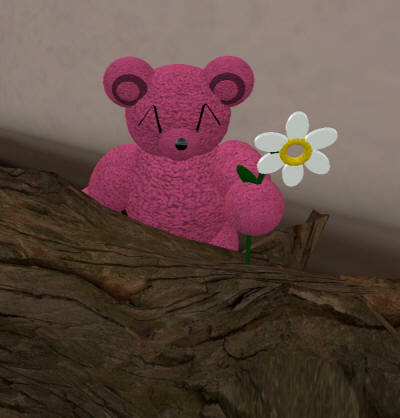 And I was, and we are now all blessed by our first Linden bear, thanks to Nichol Linden. Right next door is the Linden Baronial Castle. Go inside and click the bookcase. A secret passage will open up. Go downstairs and you can see an NSFW-rated area where the Lindens put people caught stealing Linden bears. Michael Linden has a Teen Second Life book bear you can get for free. Elle Lindens bears are in the shops. Maybe we could get Elle Linden and Ebbe Linden's bears together? 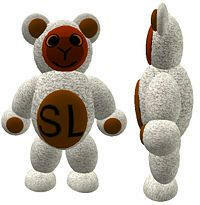 You can also buy a copy of "Friendship Linden" Sejong Lindens koala bear if you look around. 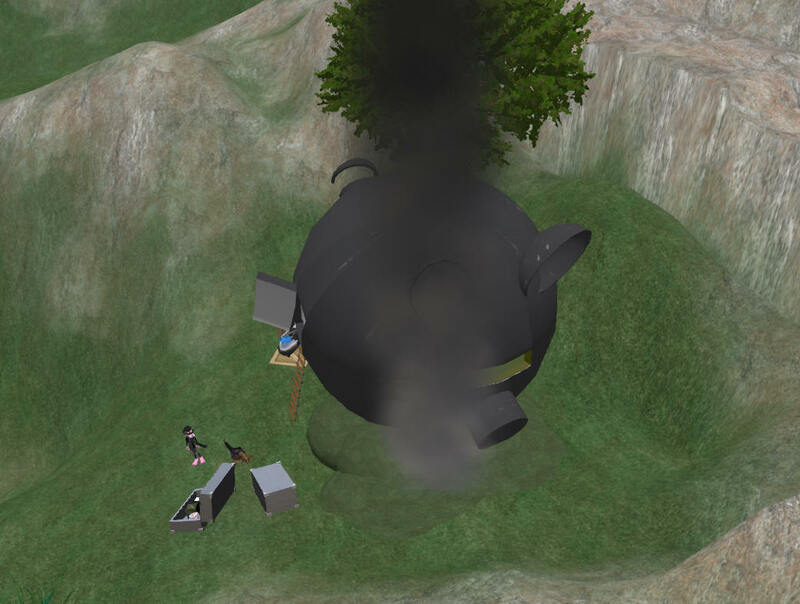 This area has the crashed spaceship that Harry Linden came to Second Life in. And there are goodies outside the spaceship. These include what I believe is a part of the famous painter, Filthy Fluno! Lynx Lindens Scottie bear is hiding from the hippo at Char's Office. 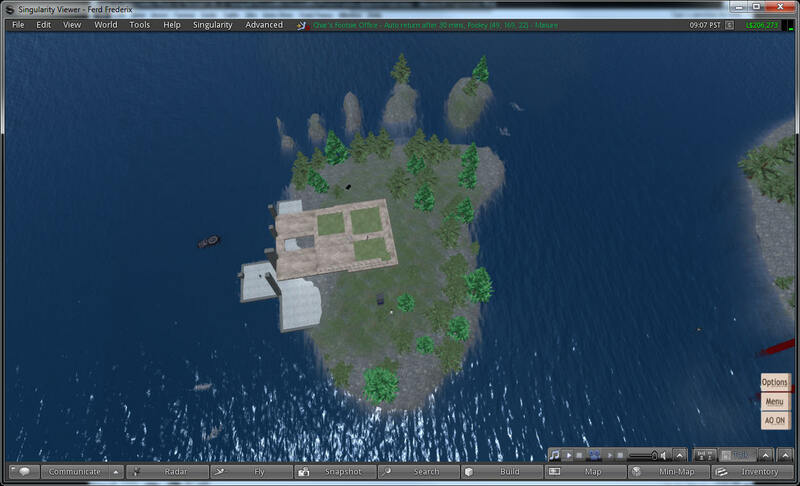 It is on an island that looks like the Second Life hand logo when you see it on the map. There are more bears to be had once you go on a quest. 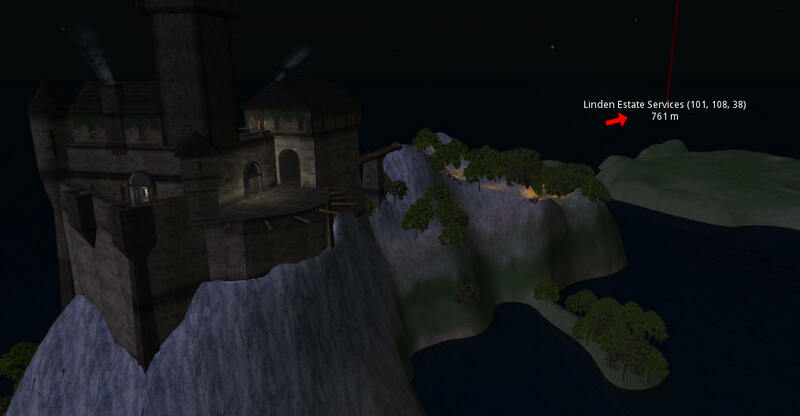 The Soft Linden bear is lost somewhere at Ihruree and needs to be rescued. You will be on a small island. Look around you and rescue Soft's bear. You'll need to take part in a quest which starts at the SE corner of Denby on top of his house. Click the bear on the corner, and follow instructions to get a notecard, which will take you on a quest. This bear is a lot of fun to find, you get to go to the place where Linden Lab extracts primitives used for building all over Second Life, ride a train, and go skiing. I'm serious. It's making prims! 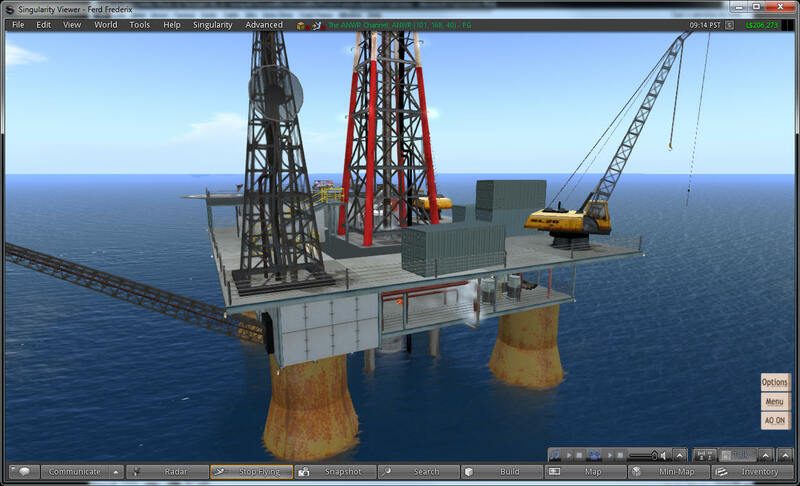 This platform was made by Eric Linden, and when you go on your quest, you will see it dredging up primitives and boxing them. 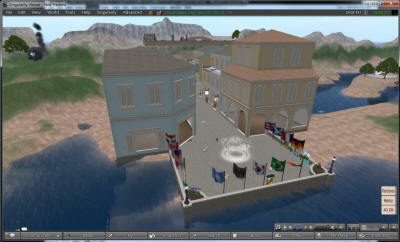 Eric build many things in Second life, such as bridges, the old welcome area in Ahern, and Plum/Lime. So go search for the clues to get Simons bear, and enjoy Second life Bear Hunting! And many thanks to NikoKito Aries for the copies of all the bears he found!